Children’s Easter Shoot with Live Bunny! Spring is in the air (as if your allergies haven’t already let you know) and that means Easter is almost here! This year, STP Images is having a ONE DAY special promotion for your children. We will have a LIVE bunny in the studio provided by our friends at the West Alabama Animal Clinic and we will have in studio bunny shoot on Saturday, March 27. 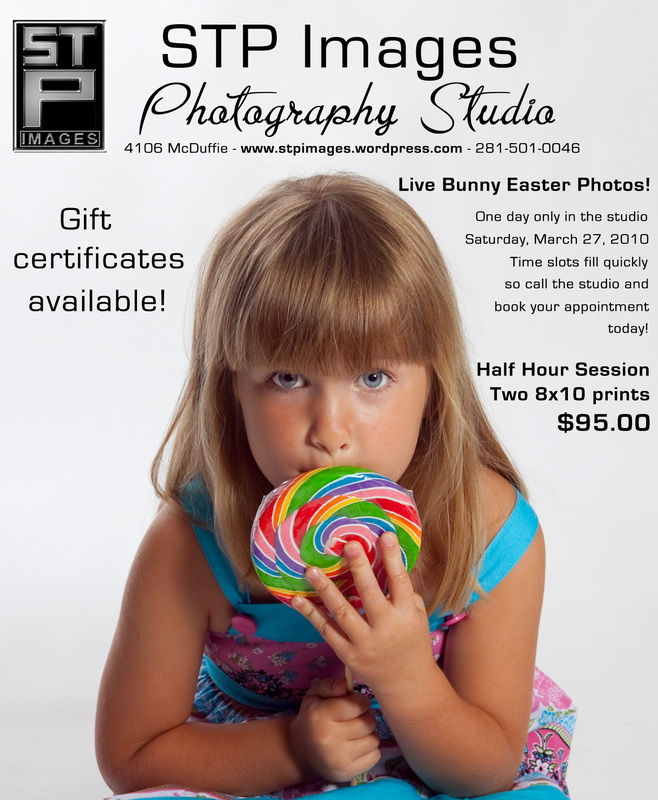 Call the studio and set your appointment with one of our wonderful studio personnel and you’ll get a 30 minute session with the bunny and TWO 8 x 10 prints for one low price of just $95.00! After the 30 minute shoot is completed, you will receive an email by Tuesday, March 30 with a link to your images online. Simply head to the online gallery and choose the image you wish to have printed and we’ll get the prints mailed or delivered to you before Easter Sunday! This will be such a great event and slots are already filling fast. Call today to reserve your spot on March 27. We hope to see you in the studio!